Step 1 Please, check with your mobile provider the correct code to activate/deactivate/query unconditional forwarding for all calls. Some default values are already set to help. Step 2 From the Call Forwarding Settings page, enter dedicated codes found in step 1). 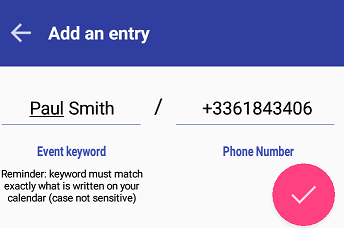 Step 3 From the Manage Contact List page, define your contact list by entering event trigger keyword and phone number for each. Your keywork can be either a first name, a nickname, trigram, etc... DutyManager task is not case sensitive, so you can write whatever you want till you separate this keywork by a space. 2 Keyword is "Paul" only "Smith" will never be apart from keywork as there is a space between the 2 words. Step 4 From the Text Settings page, you can customize the text message which is sent every time . Step 5 Return to the Main Page et check if everything is set. Now you can activate the global switch and exit the application. 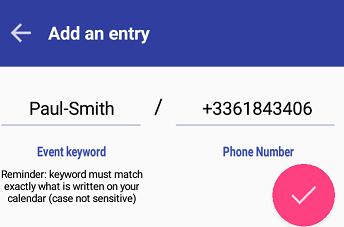 How it works: simple send a text message to the duty phone number as "your define keywork + semi-colum + phone number" without a space between words. Example: "TAKEOVER:+33619139949" (without the quote). DutyManager will take the new number provided and configure rigthaway unconditional forwarding to this one. If text message function is enabled, then you will received a text message as confirmation. How it works: simple send a text message to the duty phone number with your define keywork. Example "STATUS". 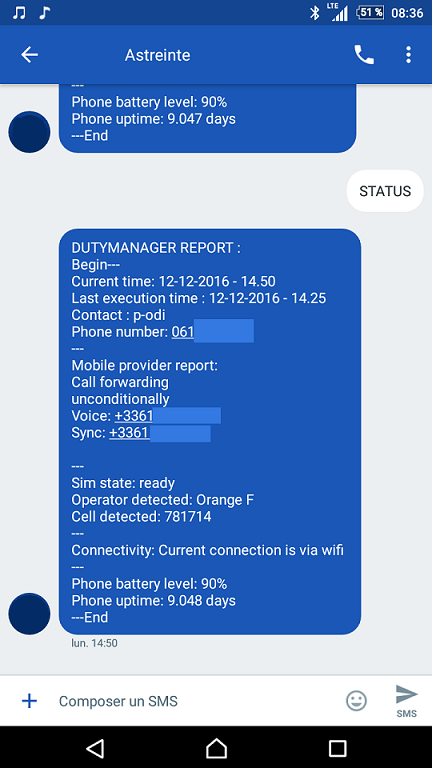 DutyManager will check the latest execution time and send you a report via text message. How it works: simple send a text message to the duty phone number with your define keywork. Example "#3637#REBOOT". DutyManager will reboot the device and send you back a text message when it's alive and DutyManager up and running.